In 2013, representatives of all the heritage-based organizations in Norwich met to find ways to collaborate, find the fit between the community and tourism interests, make sites and programs come alive, focus on quality and authenticity and preserve and protect resources. A Peer Advisor Network consultant facilitated the meeting and wrote a summary report. The Norwich Heritage groups are comprised of representatives from: The Society of the Founders of Norwich, Otis Library, The Norwich Historical Society, Norwich Community Development Corporation, The Slater Memorial Museum, Walk Norwich, The Harbor Management Commission, Heritage Radio 1700AM, The Civil War Roundtable, Friends of Norwich Bells, The Mohegan Tribe, Norwich City Historian, The Greater Norwich Area Chamber of Commerce, The City of Norwich, The Guns of Norwich Historical Society, and the Norwich Historic District Commission. These groups are collaborating in order to promote events focusing on Norwich’s Heritage and promote tourism within Norwich. The mission of the Norwich Heritage Groups is to promote heritage tourism in Norwich and build awareness of the many rich cultural landmarks in Norwich, CT. 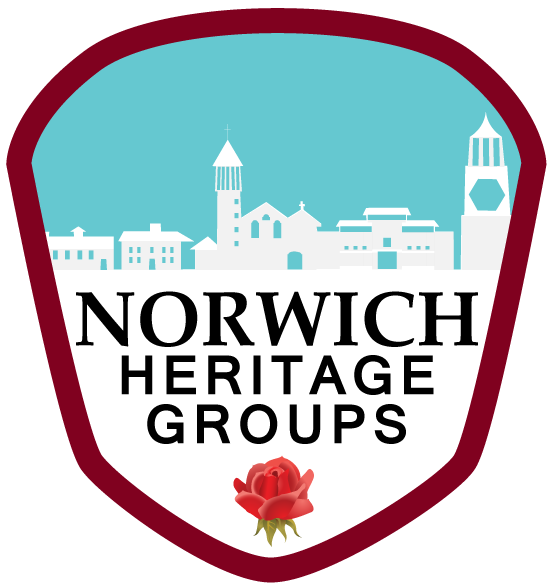 Since the initial meeting in 2013, the Norwich Heritage Groups have met quarterly and organized two tourism receptions in the Fall 2013 and Spring 2014 in order to draw members of the Hospitality Industry and Visitors to Norwich. The groups created a rack card, which highlights each Heritage Site in Norwich and lists the group members. In addition, the Norwich Heritage Groups collaborates with the Last Green Valley, the Southeastern Connecticut Cultural Coalition and the Eastern Regional Tourism District.